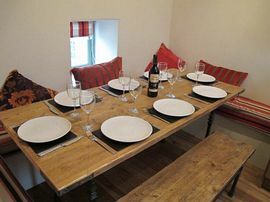 Winn sleeps 8 in 4 bedrooms and 2 bathrooms, Haven sleeps 4 in 2 bedrooms and Dumble is a beautiful romantic 1 bedroom cottage. 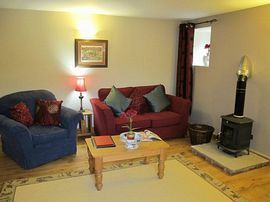 The cottages have oak floors with AGA log burners and are fully equipped with all modern facilities, with satelite TV, DVD, sterio and books and games, Wifi connection and iPod docks. 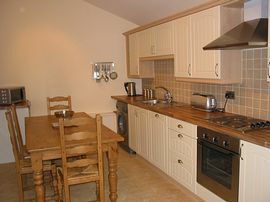 The kitchens are fully equipped for the keen cook with everything you could need. Each cottage has a private patio garden, as well as the large lawned field overlooking the brook so that you can enjoy the views. You can also bring your horses or dog on holiday. We have extensive stabling and grazing, an outdoor and indoor menage and farm ride. The local pub is less than a mile away, along with Carsington Water sports complex and Tissington village. There are many local pubs and restaurants nearby. It is a superb base to explore ideal for walking, riding and cycling in a stunning location. 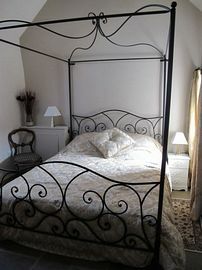 All bedding and towels are provided and included in the price. A well behaved dog is allowed by prior arrangement. Horses and ponies are taken on full or DIY livery. There are private patio gardens for each cottage with table and chairs,Barbeque and chimnea as well as large lawned field for all to use. Local Services: There is a local pub serving good food within a short walk and Carsington Water 1.5 miles away with shops, cafes and activities. 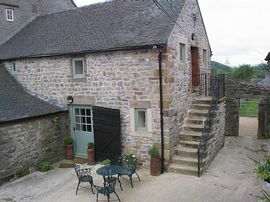 Netherton Hall is located off the B5035 close to Carsington Water. When traveling from Wirksworth to Ashbourne on the B5035 pass the Knokerdown Pub on the LHS and take your next right (Brackendale Lane) signposted Bradbourne - travel down the hill for approx 1 mile and Netherton Hall is located on your right. Prices range from: £250.00 low Season to £500.00 Mid Season to £900.00 High Season, see our own website for exact pricing.